I am a 27 year old teacher, wife, Yorkie mom and only recently a runner. I do all things in life with passion and enthusiasm. My determined, outgoing nature is what got me into running. I was never the fitness type, and hated going to the gym. From a young age my hobby was dancing but never in my wildest dreams did I ever think that I would trade my tap dancing shoes for running shoes. Running has shown me a part of myself that I didn’t even know existed and taught me that I am capable of so much more than I ever imagined. 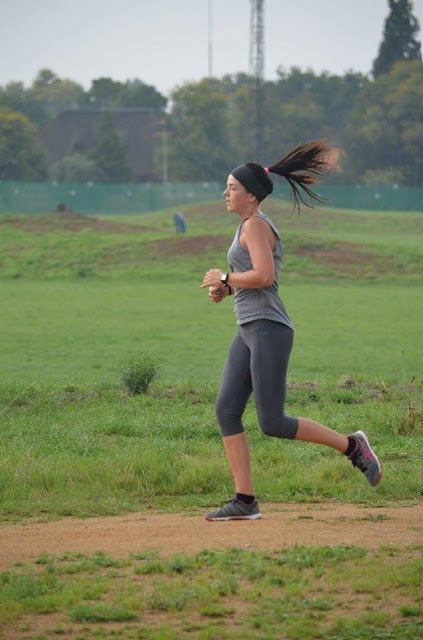 Balancing my fitness regime, marriage, family, career and my sanity can definitely be difficult at times, which is why I am so grateful that I have discovered my inner runner. Running has become my outlet, hobby and my much-needed “me” time. It still feels strange to call myself a runner, but it has now become part of who I am. I plan and organize my weeks ahead to make sure that I run at least 4 times a week. I have even incorporated my passion for teaching with running by starting cross-country at our school. 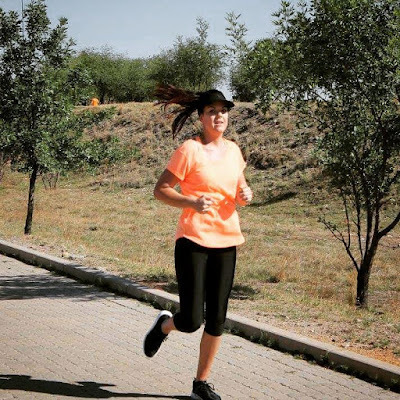 Running is a great activity to help kids build endurance, confidence, stronger self-esteem and I have seen first-hand the positive impact that it has on their academics. I was reading our local newspaper when I saw an article on a race being held at a school in Klerksdorp. I wanted to make a change in my life regarding to fitness and being healthier, so what better way to start! 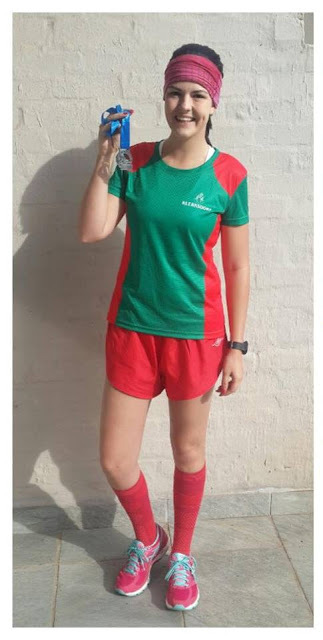 On 23 October 2015, I competed in my first ever race, it was a 5km road race held at a local school in Klerksdorp. My hubby came along for moral support which I was very grateful for, I was terribly nervous! I finished the race and was extremely proud, the wooden medal has a special place on my wall. 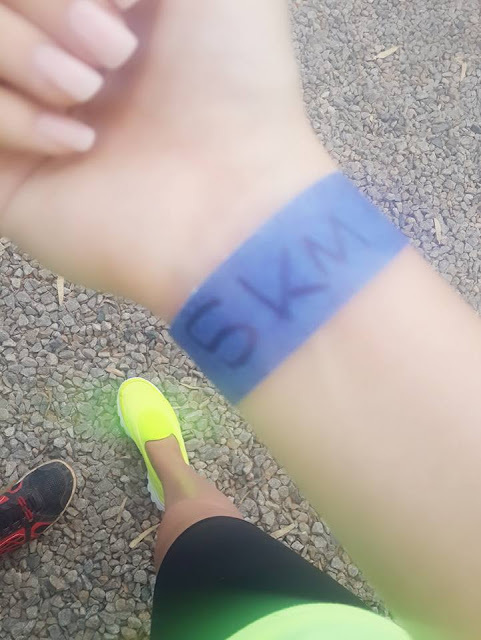 That 5km race was only the beginning, I was hooked! 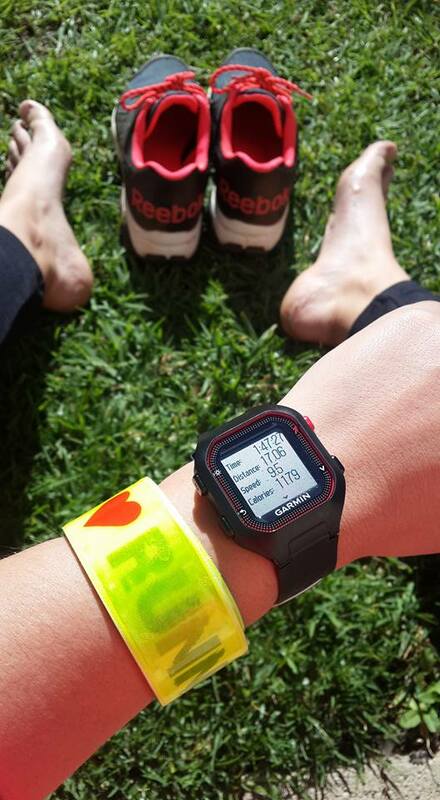 Running is an incredible sport that can be done by anyone, anywhere, anytime. It is one of the best types of exercises and has numerous health and fitness benefits. Running is a great way of meeting new people and seeing new places. There is no better feeling than the pre-race vibe you get, the excitement, adrenaline and nervous energy. Running culture for me is being part of a group of people just as crazy as you are, willing to encourage you when you need it and being part of a community. Knock on wood, I luckily have never suffered a serious injury after or during running. I make sure I warm up appropriately and always have my Arnica ice cooling gel or spray at hand for sore muscles. I do tend to get plantar fasciitis especially after a week of heavy training, but I focus on doing my stretching first thing in the morning and after training. 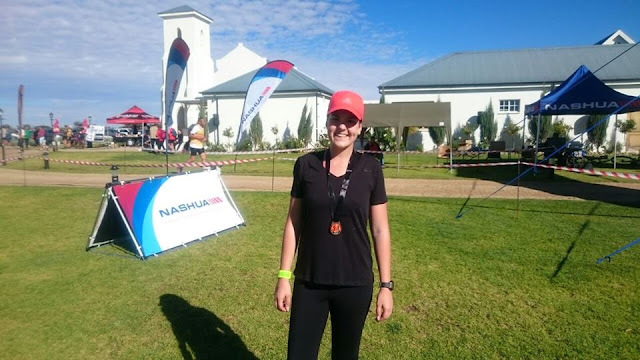 Ever since my first 5km road race I have done numerous races and local Parkruns. 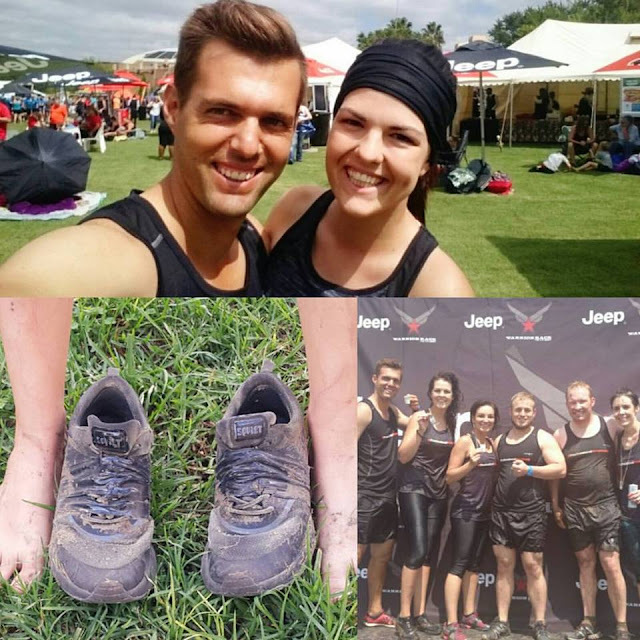 I even competed in my first rookie warrior race! Recently I competed in my first 18km trail run with a time of 1:47:27. It was a tough off-road trail and I had to dig deep. I am proud of every race and achievement and I am working hard to fill up my medal hanger with even more medals. 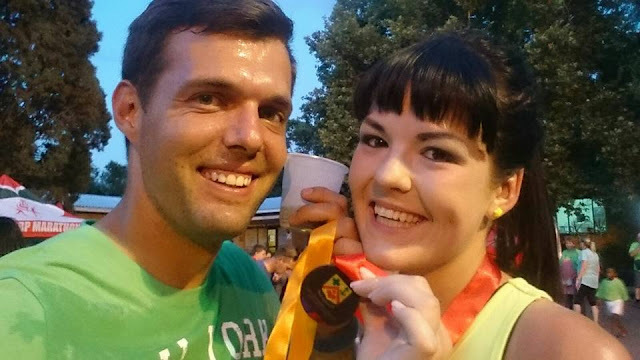 I’m currently training to compete in next year’s Two Oceans Half Marathon! It’s a dream of mine to one day complete a full marathon, but you have to start somewhere. I am very proud of my progress in only a years’ time so who knows where I might be competing in the years to come! 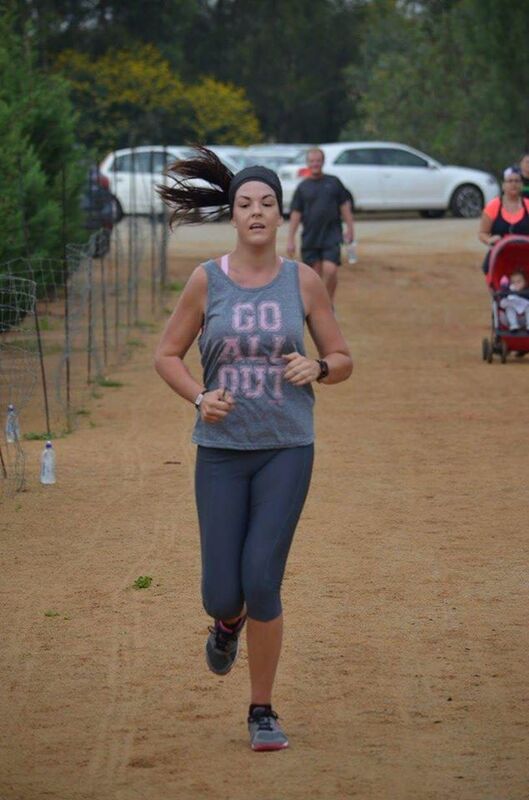 Social media is my way of sharing my proud running moments with family and friends. I am on Facebook (Tina-Marie Nelson) and Instagram (@tinksnelson). I also use social media to connect with other runners from all around the world, exchanging tips ideas and advice. 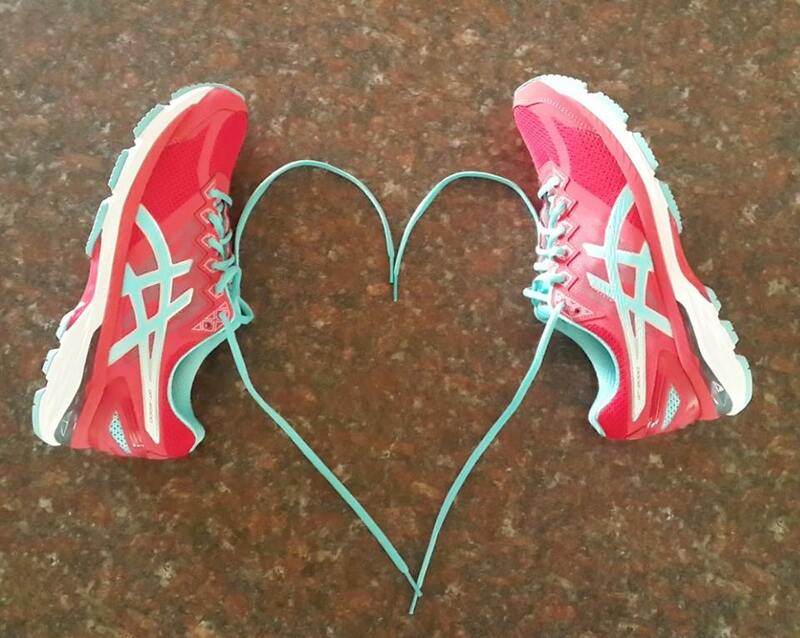 The colour of my favourite running shoes! Running is not just a men’s sport! The biggest reason why women don’t run is because they feel that they are unable to - when in reality not only can we keep up with the boys but beat them! Running has so many benefits for us women, not even to talk about the weight-loss and health benefits. There is no better stress reliever than putting on your running shoes and going for a run to clear your mind. Plus it is cheaper than therapy! Don’t worry how you look while you’re running. You will not look like a gazelle running. Just run despite of that! I want my tombstone to say “She lived fully”.